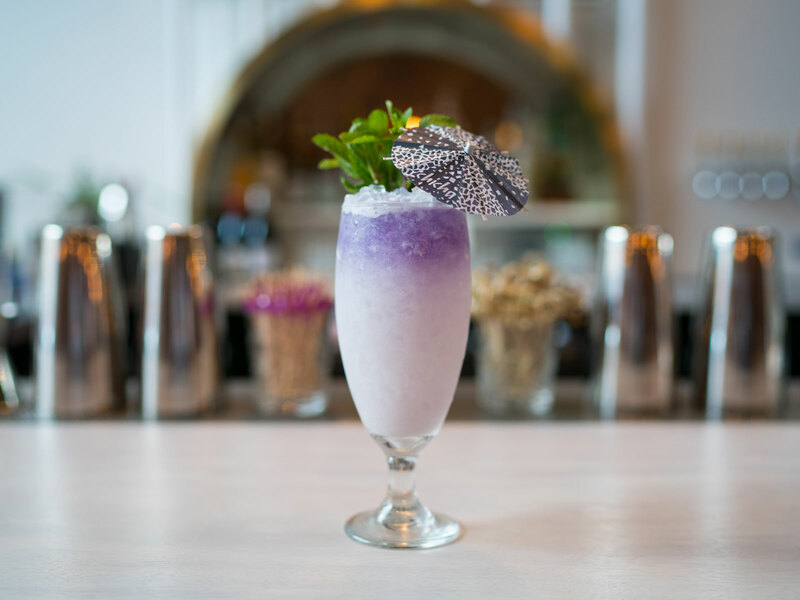 Chicha Cafetín and Cocktails, a new Nicaraguan street food-inspired spot with a serious rum program, is the summer restaurant we've been waiting for. 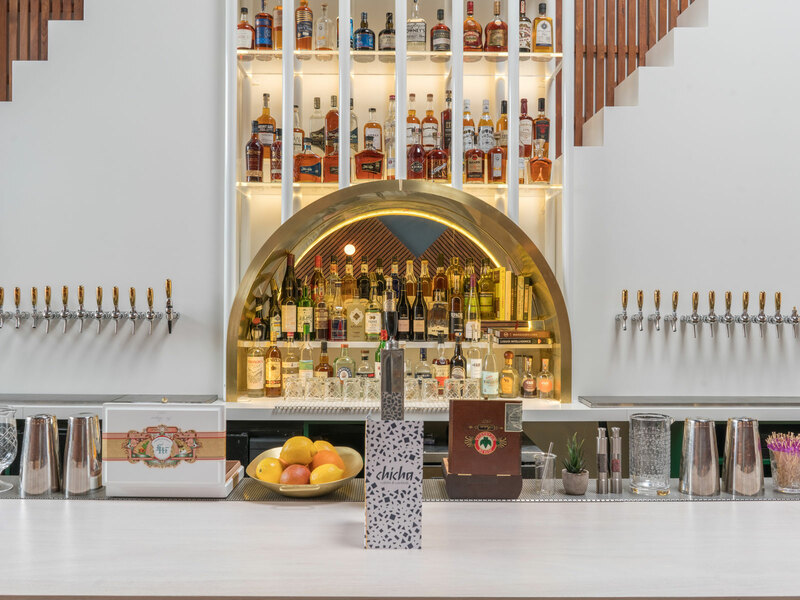 At the beginning of June, Vanessa Palazio and Adam Schneider (the husband-wife duo behind Little Muensters) opened the Nicaraguan-inspired Chicha Cafetin and Cocktails on an especially desolate street in Bushwick, Brooklyn. One step inside what could have been just-another-warehouse-gallery reveals something joyous; a bright, modern space accented with wood sourced from Nicaragua, geometric paneling, a colorful mural painted by Bushwick artist W3RC, and a bar serving serious and surprising rum cocktails. The food, it's worth noting, is excellent, begging the question: Where the hell has this been? Palazio, who was born to Nicaraguan immigrants in Brooklyn, has been visiting the Central American country since she was 13, so she's dreamt of this concept for years. Like many restaurant origin stories, it begins with a pop-up: five years ago, she and her husband ran a pop-up in Dumbo called Little Nica that served quesillo, a popular Nicaraguan street food made with thick corn tortilla and cheese—it's featured on Chicha's menu, too. The response was, well, overwhelming. "When we ended the pop-up we were convinced that Brooklyn was ready to explore Nicaraguan cuisine," Palazio tells Food & Wine. "A lot more people have traveled down to Nicaragua whether it is to surf, explore the beaches and volcanoes, or roam the colonial cities, and they end up loving the food. They then return craving gallo pinto, salpicon, quesillo, and baho." "The baho is one of the dishes that is cooked using the traditional technique of cooking all of the vegetables and pork wrapped in plantain leaves," says Palazio. "But instead of serving everything the classic way—pieces of pork, yuca, and plantain—we combined them and press them in a way that mimics pork belly, but it's still served in the palm leaves and topped with crispy rice instead of curtido. The salpicon rillettes is another spin on a traditional cold beef dish that we have whipped into a pate and added flavors from the Caribbean coast with the inclusion of coconut." The excellent quesillo, made with house-milled corn tortilla and hand-pulled cheese, come in four varieties, all of which demand an accompanying rum cocktail: the classic tipico; pollo desmenuzado; baho-style cerdo with baho-style pork braised in Toña beer; and langosta, with seared lobster tail, sea bean slaw, and achiote oil, served on a thick squid-ink tortilla. Another menu highlight is the "guacamole Nicaraguense," a Nicaraguan take on guac served with salt-cured egg, pistachio, and root and fruit chips, and so is the "elotitos": cheesy elotes made with baby corn and smoked guajillo. The expansive rum-focused bar program, helmed by Marshall Altier, offers several cocktails on draft, as well as rum flights. Some drinks are served with umbrellas, and we think that's just wonderful. 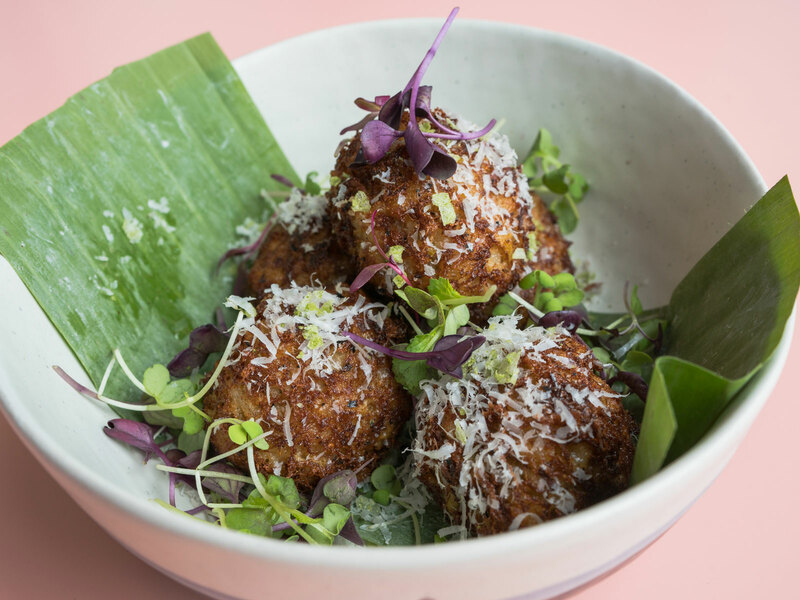 "There are ample Latin restaurants in New York, ranging from Mexican to Venezuelan and everything in between, but nothing Nica," says Palazio. "Perhaps its because it's only recently become a travel destination and a country that is on people's radar. Nicaraguans also pride themselves in being excellent cooks and enjoy eating in the comforts of their own home or a friend's." Our friends certainly don't cook like this, so we'll be dragging them here all summer.